Let me now present an historical sketch of the increasing ingress of pseudo-Orientalia, and specifically of pseudo-Buddhica and pseudo-Tibetica into Europe and America. During my research into ideological change in the Buddhist clergy in Srilanka in 1971, I marveled at a painting in a temple in the southernmost part of the island. In a long, subterranean corridor, some two hundred vignettes depicting the phases of the dharma from its inception under the Bodhi-tree in Buddhagaya to the foundation of the particular temple, the last one showed a white woman kneeling and bowing down before the image of the Tathagata and two monks administering sil (the five precepts of Theravada Buddhism) to her; behind her, several white men in tropical hats and western suits, one of them bearded. These, so the monk who showed me around informed me, were Mme. 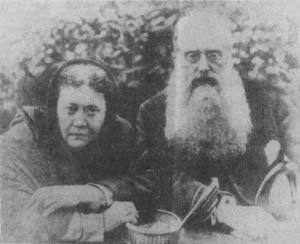 Blavatsky and Colonel Olcott embracing Buddhism. This is historically quite correct. The well-meaning American Colonel Olcott and the Russian-born Mme. Blavatsky, founders of the Theosophical Society, did indeed undergo that ceremony of initiation in that shrine in Srilanka. Annie Besant became a convert to Mme. Blavatsky, rather than to Buddhism, about a decade later. 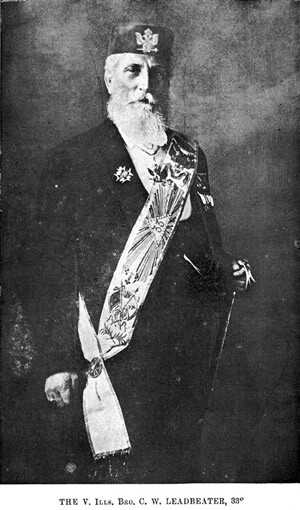 Leadbeater and other founding members formed the incipient caucus of the Society which still survives, albeit in highly modified and in a largely reduced form when compared to the initial thrust into the religious ideological world of the early 20th century. Now we must distinguish between the genuine and the spurious elements in the movement as it relates to Buddhism. Annie Besant was no doubt a sincere woman; one of the British Empire’s most powerful orators, cofounder of the Indian National Congress, and a fine mind, genuinely annoyed at the inanities perpetrated by and constituted in the missionary scene. 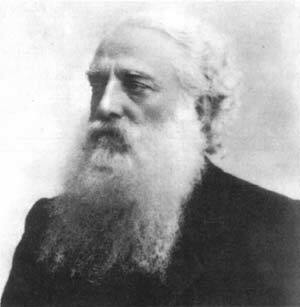 Colonel Olcott was a genuine person, too, concerned with human affairs, and strongly cognizant of religious options other than those of Christianity. But I think Mme. Blavatsky and Leadbeater were frauds, pure and simple. My definition of a fraud or of a phony does not quite coincide with the usual dictionary meanings of these terms. A phony does not necessarily doubt the theses he or she propounds--in fact, they can be full believers themselves. But what makes them phonies is their basic attitude of refusal of matching their tenets with those of a genuine tradition, and of imitating lifestyles which are alien to them, by doing things that superficially look part of the lifestyle they imitate, or of imitational lifestyles which simply do not exist in any cultural body, except as idiosyncrasies. Leadbeater wrote about the kundalini, the secret serpent power, and a mēlée of things esoteric and other which he had picked up from Indian sources in early translations. He never learned any of the primary languages--Sanskrit, Pali, Tibetan; neither did Besant, Olcott, and Blavatsky. Leadbeater was an aggressive homosexual, and there is no doubt in my mind that he used his esoteric homiletic to seduce young men--some of them very famous indeed in later days. Now I don’t object to homosexuality--I think the Gay Freedom movement is well taken and should succeed. But I do object to utilizing bits of theological or other religious doctrinal material to support one’s own esthetical and sensuous predilections. Hindu Buddhist Tantric texts do indeed use sexual models and analogues in their esoteric tracts, so it is quite in order if scholars and practitioners use these texts in support of their sexual behavior, because the support is objectively there. But no Tantric text implies any but heterosexual relations in its corpus. The most recent authentic representation of the place of sexuality in Tibetan Tantrism 1) should suffice as a document for the rejection of the esoteric innuendoes in Leadbeater’s writings. H.V. Guenther, of cause, is a valid empire of Buddhist Tibetan studies in and by himself, and it may not even be necessary to quote so exalted a source as his prolific writings in order to dismantle the Blavatsky-to-Rampa type fraudulence; a very average familiarity with Buddhism would do the job.